Since we are talking about kitsch we felt like acting like Americans...so we took the sight-seeing tour-bus ! In fact, although kind of lame, this is an effective way for a first touch with the city, isn't it ? Despite the bold head of our colored friend present in the majority of the photos I hope you get the idea that we really had a very good time! All in all it was worth the money. You had the chance to see numerous stuff within a couple of hours. Next day we were on our own...We climbed to the Empire State Building. Believe it or not, it took us less than 3o minutes to the Top ! We were really lucky. The average estimated waiting time is more than 2 hrs. We saw that as soon as we went down...Unprecedented scrimmage ! Anyway after the 9/11 the Empire State building is the highest one in Manhattan. Oh, there she is !! 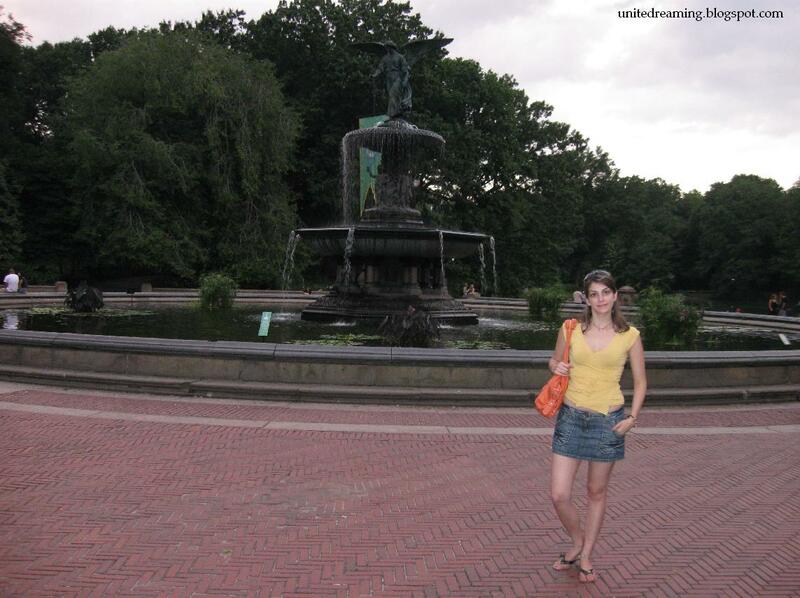 She is in Central Park ! A lame view of the Plaza !! !